Unique Baby Gifts from Nobrain - Custom Gift Ideas for Babies. Our gift suggestions for Baby Gifts is always very popular. Babies need many things and we have great suggestions from the practical to the truly beautiful to celebrate the arrival of the bundle of joy. Can you handle how cute baby will look in a cute little outfit. Or snuggled up to a fun new stuffed toy. So check out our Baby Gift suggestions here and finding the perfect gift will be a breeze. Thanks from the team at Nobrain! Who can resist super cute baby booties? Little baby feet need to be protected from the harsh elements with adorable baby booties. 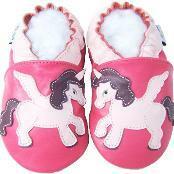 Baby booties come in a huge selection of colours and styles o that baby can always look fabulous. We all couldnt believe how beautiful baby booties were. Babies in booties go together. The booties are perfect for a baby Shower gift. Our research shows that baby booties are number 1 in gift popularity and super cuteness. All the No brain sales team were so in love with them. Trust us you will love them too. We know these are not officially for baby but Mom needs a cool carry all for all of the things a baby needs. Diaper bags are definitely not what they used to be. Diaper Bags actually are pretty stylish these days with all the look and feel of a high end hand bag but with the practical bits as well. Diaper Bags have tons of pockets and zippers to store Baby's creams and wet wipes. 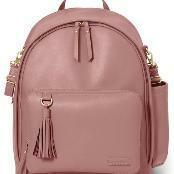 Cool diaper bags are on trend this year and the new mom on your ist will be thrilled to receive one. Wish these beauties were around when our kids were babies. Never wanted to carry around Disney themed bags. When baby is nursing, mom needs a comfy pillow to rest on her lap or leg. A comfy nursing pillow is the hot new item on every new mom's wish list. These pillows are not just soft and snuggly but can be thrown in the washing machine if baby has a little accident. 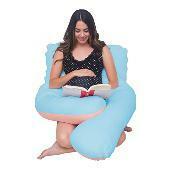 Nursing Pillows are large and small and come in a variety of colours and fabrics. They are a very thoughtful gift for both the new mom and her baby. I wish they had these things when my kids were babies. Baby Clothes are so adorable. Who can stand how cute baby clothes are? When baby is a newborn, the best option for clothing is the baby onesie. These have snaps at the crotch for easy diaper changing and large openings for baby's noggin. When baby gets a little older then dressing them up in jeans or dresses is so fun. Moms really love receiving cute and cozy baby clothes as baby gifts. Clothes are always a thoughtful gift for a new mom so she doesn't have to go out and buy clothes herself. Trust us, baby clothes will forever be a big favourite gift item. We all love the smell of a freshly bathed baby. Babies skin needs tender loving care. We here at Nobrain love the range of hypoallergenic baby skin care products on the market today. 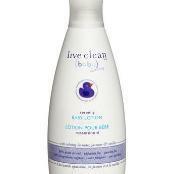 You don't want to put harsh chemicals on baby's new skin. Pick up a selection of bath washes, shampoos and moisturizers to make a thoughtful and practical gift for Mom to use on her new baby. We have done the extensive research so you don't have to. The baby Skin Care market has doubled in the last 2 years. New parents want only the best for their baby and will love that you have bought skin care specifically designed for a baby's sensitive skin. Thank you so much for visiting our site for Baby Gift suggestions. We have done extensive research to find gifts for you. Buying a baby gift can sometimes be a stressful exercise. We are here to take the stress out of buying a baby gift. Make sure you come back often as we are constantly updating our site with new and interesting baby Gift suggestions.